Natural and sexual selection are often presumed to act most directly on behavior (e.g., what an animal chooses to do when confronted by a predator), which is expressed within limits set by whole-organism performance abilities (e.g., how fast it can run) that are determined by subordinate traits (e.g., muscle fiber-type composition). A weakness of this conceptual and operational model is the absence of an explicit recognition of the place of life history traits. It is a subdiscipline of both physiology and evolutionary biology. Practitioners in this field come from a variety of backgrounds, including physiology, evolutionary biology, ecology and genetics. Accordingly, the range of phenotypes studied by evolutionary physiologists is broad, including life history, behavior, whole-organism performance, functional morphology, biomechanics, anatomy, classical physiology, endocrinology, biochemistry, and molecular evolution. It is closely related to comparative physiology and environmental physiology, and its findings are a major concern of evolutionary medicine. 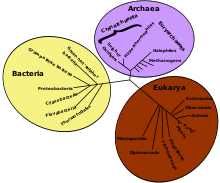 As the name implies, evolutionary physiology is the product of what was at one time two distinct scientific disciplines. According to Garland and Carter, evolutionary physiology arose in the late 1970s, following debates concerning the metabolic and thermoregulatory status of dinosaurs (see physiology of dinosaurs) and mammal-like reptiles. This period was followed by attempts in the early 1980s to integrate quantitative genetics into evolutionary biology, which had spill-over effects on other fields, such as behavioral ecology and ecophysiology. 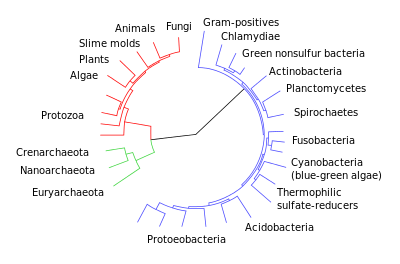 In the mid- to late-1980s, phylogenetic comparative methods started to become popular in many fields, including physiological ecology and comparative physiology. A 1987 volume titled "New Directions in Ecological Physiology" had little ecology but a considerable emphasis on evolutionary topics. It generated vigorous debate, and within a few years the National Science Foundation had developed a panel titled Ecological and Evolutionary Physiology. More recently, the importance of a merger of evolutionary biology and physiology has been argued from the perspective of functional analyses, epigenetics, and an extended evolutionary synthesis. As a hybrid scientific discipline, evolutionary physiology provides some unique perspectives. For example, an understanding of physiological mechanisms can help in determining whether a particular pattern of phenotypic variation or covariation (such as an allometric relationship) represents what could possibly exist or just what selection has allowed. Similarly, a thorough knowledge of physiological mechanisms can greatly enhance understanding of possible reasons for evolutionary correlations and constraints than is possible for many of the traits typically studied by evolutionary biologists (such as morphology). American Physiological Society "integrating the life sciences from molecule to organism"
1 2 3 4 5 Garland, T., Jr.; P. A. Carter (1994). "Evolutionary physiology" (PDF). Annual Review of Physiology. 56: 579–621. doi:10.1146/annurev.ph.56.030194.003051. PMID 8010752. ↑ Arnold, S. J. (1983). "Morphology, performance and fitness" (PDF). American Zoologist. 23: 347–361. doi:10.1093/icb/23.2.347. ↑ Careau, V. C.; T. Garland, Jr. (2012). "Performance, personality, and energetics: correlation, causation, and mechanism" (PDF). Physiological and Biochemical Zoology. 85: 543–571. doi:10.1086/666970. PMID 23099454. ↑ Feder, M. E.; A. F. Bennett; W. W. Burggren; R. B. Huey, eds. (1987). New directions in ecological physiology. New York: Cambridge Univ. Press. ISBN 0-521-34938-9. ↑ Kingsolver, J. G (1988). "Evolutionary physiology: Where's the ecology? A review of New Directions in Ecological physiology, Feder et al. 1987". Ecology. 69: 1644. doi:10.2307/1941674. ↑ Chown, S. L.; K. J. Gaston; D. Robinson (2004). "Macrophysiology: large-scale patterns in physiological traits and their ecological implications". Functional Ecology. 18 (2): 159–167. doi:10.1111/j.0269-8463.2004.00825.x. ↑ Gaston, K. J., S. L. Chown, P. Calosi, J. Bernardo, D. T. Bilton, A. Clarke, S. Clusella‐Trullas, C. K. Ghalambor, M. Konarzewski, L. S. Peck, W. P. Porter, H. O. Pörtner, E. L. Rezende, P. M. Schulte, J. I. Spicer, J. H. Stillman, J. S. Terblanche, and M. van Kleunen. 2009. Macrophysiology: a conceptual reunification. The American Naturalist 174:595–612. ↑ Chown, S. L., and K. J. Gaston. 2015. Macrophysiology - progress and prospects. Functional Ecology 30:330-344. ↑ Noble, D., E. Jablonka, M. J. Joyner, G. B. Müller, and S. W. Omholt. 2014. Evolution evolves: physiology returns to centre stage. The Journal of Physiology 592:2237–2244. ↑ Garland, T., Jr.; S. C. Adolph (1991). "Physiological differentiation of vertebrate populations" (PDF). Annual Review of Ecology and Systematics. 22: 193–228. doi:10.1146/annurev.ecolsys.22.1.193. ↑ Kelly, S. A.; T. Panhuis; A. Stoehr (2012). "Phenotypic plasticity: molecular mechanisms and adaptive significance". Comprehensive Physiology. 2: 1417–1439. doi:10.1002/cphy.c110008. 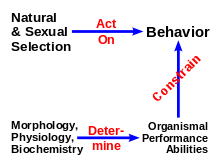 ↑ Bennett, A. F.; R. E. Lenski (1999). "Experimental evolution and its role in evolutionary physiology" (PDF). American Zoologist. 39 (2): 346–362. doi:10.1093/icb/39.2.346. ↑ Irschick, D. J.; J. J. Meyers; J. F. Husak; J.-F. Le Galliard (2008). "How does selection operate on whole-organism functional performance capacities? A review and synthesis" (PDF). Evolutionary Ecology Research. 10: 177–196. CiteSeerX 10.1.1.371.8464 . ISSN 0003-1569. ↑ Garland, T., Jr.; A. F. Bennett; E. L. Rezende (2005). "Phylogenetic approaches in comparative physiology" (PDF). Journal of Experimental Biology. 208 (Pt 16): 3015–3035. doi:10.1242/jeb.01745. PMID 16081601.